Photographs were taken: documenting the second famine in Connemara. The origins of social documentary photography in Ireland: Part 2. This photo was taken a couple of years ago. I was travelling between Rossaveel and Maam Cross, on my way to Leenane. The road travels through an upland wilderness of bogs and small lakes, a landscape that is typical of Southern Connemara. It reminded me of a shot taken by Marguierite Mespoulet in 1913, probably to the west on the coast road to the village of Carraroe. The correspondent for the Irish Times claimed that poor housing and lack of clean water were to blame for renewed outbreaks of fever, but argued that talk of an “epidemic’ was not justified by the figures. In a dispensary area of almost 10,000 persons there were five fatal fever cases and 40 more cases notified. He (presumably) drew comparisons with other parts of Connemara “where things are more favourable, or at least not quite so unpleasant,” highlighting the fact that in the “plague centre” people shared their hovels with pigs “who were practically members of the household.” The peasants, it appears, were the agents of their own misfortune. The Irish Independent took issue with this. A correspondent had stated in an earlier article (May 15) that “If corroboration of the case [that there was a fever plague in Connemara] and the graphic photographs reproduced in our columns were required, it would be found abundantly in the immediate response to, and commendation of our appeal by those who know the distress and the appalling conditions of the stricken locality.” The Irish Independent criticised the callous bureaucracy of government and sanitary authorities, accusing them of placing the islanders in imminent danger of absolute extermination through shameful neglect. The Irish Independent also published an eyewitness account of conditions in Connemara. It was written by a special correspondent of the Connacht “Tribune.” He had motored with the local M.P. (Wm. O’Malley) to Carraroe, where he met the parish priest (Healy). They went on Bealdangan and picked up the local doctor (O’Kelly). They then went to the “little hut” of John Lee where they met the Chief Secretary (Birrell), who was on a tour of inspection. “The house stood about seven feet high, and was without an aperture of any kind, save the small door …We entered this 11 feet by 8 apartment that constituted the entire interior, and growing accustomed to the darkness, we recognised that it was practically devoid of furniture … It was, declared Mr. Birrell, the worst dwelling he had ever seen. IRISH SKETCHES: BOG-TROTTER’S CABIN, BALLINTOBER BOG, ROSCOMMON. – SEE PAGE 558, Supplement to The Illustrated London News, Dec. 13, 1879, p. 557. Collection of Ciarán Walsh. The agricultural disadvantages of Connaught are not to be denied, and we hear without surprise of the distressed condition of small farmers in that part of the island … Here [Ballintober] are still to be found some of the genuine “bog-trotters,” a class of peasants living in squalid poverty by the scanty produce of small plots of ground and wages by field labour, where no farmer has capital to give them employment. Our artist’s sketch of one of their wretched cabins, with the poor man and his children waiting for their dinner of potatoes to be boiled over a turf fire, outside the dwelling, by the comfortless care of the wife and mother, is a sorry picture of Irish rural life. There are probably a hundred thousand people in Ireland whose condition is not much better. Some 20 years later the same conditions were documented in Connemara, and again in 1913. The tone of The Illustrated London News commentary is not all that different from the Irish Times editorial of 1913. Complacency and official inaction was the order of the day. In an effort to shock people out of their complacency photographs were taken inside the “hovels” of the starving peasants in Gorumna in 1898. The intention was to prove that reports of a famine in Connemara were not exaggerated, that people were indeed starving to death in the west and southwest of Ireland. These photographs were published by the Mansion House Committee established by Lord Mayor Tallon. It was a remarkable event that signalled that social documentary photography had arrived in Ireland. This entry was posted in Comment, Heritage, Photography and tagged Albert Kahn, Anthropology, Ballintober, Ballymaclinton, Ciarán Walsh, Co Roscommon, Connaught Tribune, Connemara, famine, Gorumna, Illustrated London News, Irish Independent, Irish Times, Mansion House, Marguerite Mespoulet, Typhoid, www.curator.ie on August 14, 2015 by ciaranwalshnoe. Charles R. and John Browne, 1893, Group of women and Girls Inishbofin, from the Photograph albums of Charles R. Browne, TCD. With permission of the Board of Trinity College Dublin. Alfred Cort Haddon visited North Connemara in July 1890 and it left “a distinct impression of sterility, stones & starvation.” He neatly summarised the relentless famine that was endured by the cottier class right up to the end of the 19th century and, in some places, into the early 20th century. This was to become the object of intense curiosity in the illustrated press: a morbid fascination that has its roots in groundbreaking reports published in the Illustrated News between 1847 and 1850. These reports would, in turn, provide the ‘horrific’ foundation for two of the main tropes of social documentary photography as it developed in the west of Ireland from the 1880s onwards: the wretched hovels of the Irish peasantry and the “distressful” condition of women. James O’Mahony, Mullins Hut, at Scull, published in THE ILLUSTRATED LONDON NEWS, Feb. 13, 1847. from the collection of Ciarán Walsh. A specimen of the in-door horrors of Scull may be seen in the annexed sketch of the hut of a poor man named Mullins, who lay dying in a corner upon a heap of straw, supplied by the Relief Committee, whilst his three wretched children crouched over a few embers of turf, as if to raise the last remaining spark of life. This poor man, it appears, had buried his wife some five days previously, and was, in all probability, on the eve of joining her, when he was found out by the untiring efforts of the Vicar, who, for a few short days, saved him from that which no kindness could ultimately avert. Our Artist assures us that the dimensions of the hut do not exceed ten feet square; adding that, to make the sketch, he was compelled to stand up to his ankles in the dirt and filth upon the floor. In 1849 The Illustrated London News followed up on this report up with a series of seven illustrated articles on the operation of the newly introduced Poor Law in Ireland, concentrating on Kilrush but covering west and north Clare, Connemara and Clifden as well. The report published on 22 December contained an illustration that was to become – probably -the most iconic representation of famine in Ireland, a sketch of Bridget O’Donnell and her children. 40 years on the pattern repeats itself in the coverage of the “Second Famine” that followed the “crisis” of 1879 and reached a peak in 1898 in Connemara and in the South West of Ireland. There was a difference though, James O’Mahony’s pioneering illustrations were to be replaced by a series of graphic photographs. Was this the beginning of Social documentary photography in Ireland? Photographs were taken: The origins of social documentary photography in Ireland: Part 2. 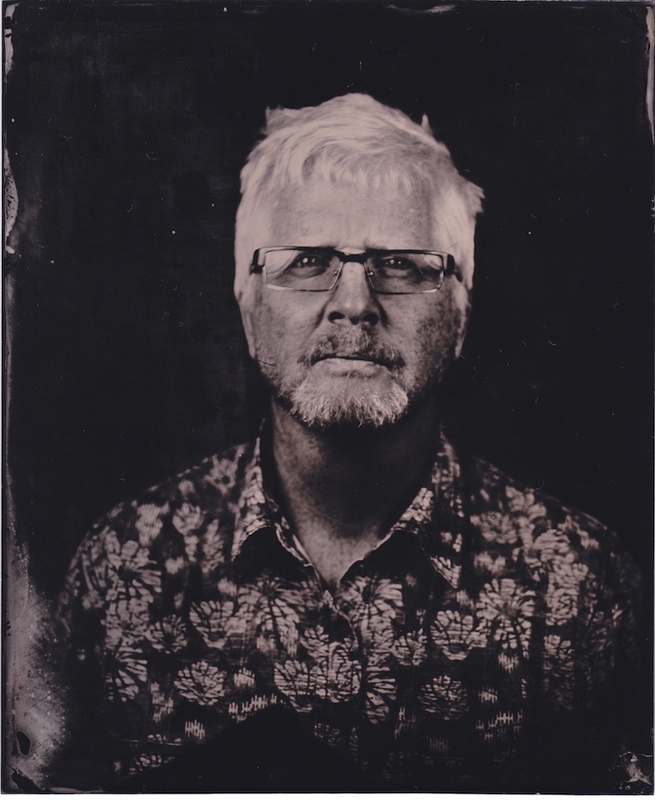 This entry was posted in Comment, Photography on August 6, 2015 by ciaranwalshnoe. I was in the attic the other day looking for records to play on a recently recovered record player when I came across an ancient copy of Buntús Cainte, the Irish language instructional programme that was broadcast by Radio Teilfís Éireann — the national radio (Raidió) and television (Teilifís) station of Ireland (Éireann) – from 1967 to 1969. Gael Linn issued the record to complement the series. It must have been thirty years old – not as old as Wish You Were by Pink Floyd which, if I remember correctly was bought in a second hand shop in Richmond St in 1978 courtesy of my first paypacket from the Dept of Justice. Nostalgia! Either way I thought that Buntús Cainte might just come in handy – again – given the news. The demise of Irish as a living language had just been announced on the web and people were wondering what could be done about it. Revive Buntus Cainte? The reaction was as muted as it was predictable. “The end is nigh. Irish is on last legs as living language” wrote Donal Nolan in the Kerryman while the national version of the Kerryman, the Irish Independent, warned that by 2025 the Irish language that “will not be used as the primary dialect anywhere in the country” in a piece written by Daniel MacDonald. Dialect is an interesting choice of wording. 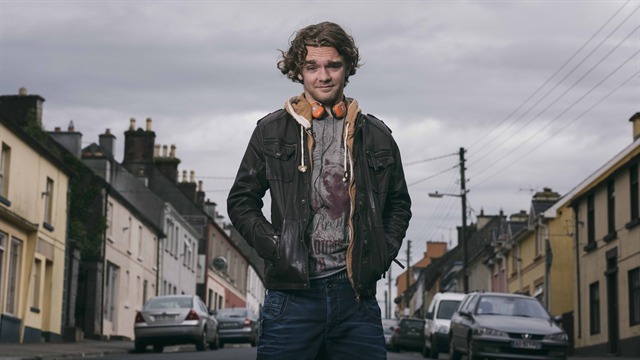 The difference between Gaeltacht Irish and School Irish — its poor half-cousin in the towns – has been narrowing for years. Anyone who has worked in the Gaeltachts will have seen the relentless progress of English and despaired of the ability of Irish to handle the linguistic demands made by modern globalised communications and social media in particular. 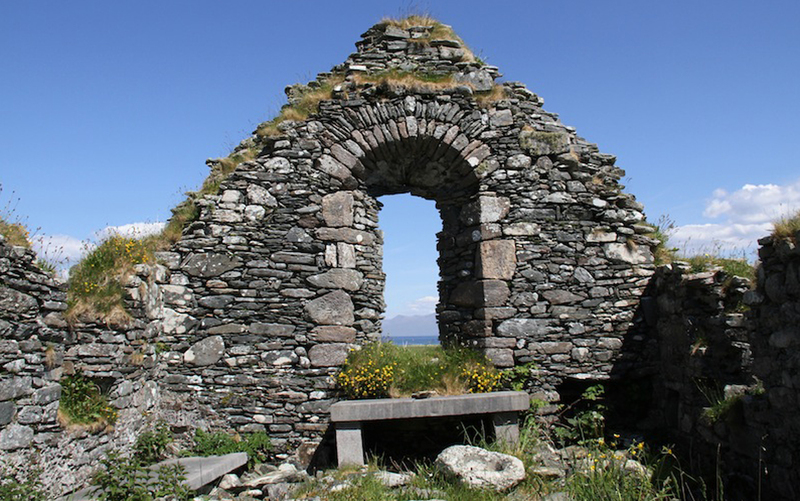 “Fócasáil an ceamara, lad” sums up the “spotty” language of that developed in the space between the Gaeltacht, the land of the Gael, and the Galltacht, the land of the foreigners where the townies and other non-native speakers live. The Irish village of Ballymaclinton epitomised the Galltacht and the creeping Anglicisation of Irish society that was denounced by Douglas Hyde in a speech delivered to Irish National Literary Society in Dublin, on 25 November 1892. The Gaeltachts were established by the Free State as a bulwark against, and a cure for Anglicisation. All the resources of the state were devoted to the reversal of Anglicisation and the revival of the Irish language. The Gaeltachtachtaí or Gaeltachts were culturally and, to a lesser extent, economically advantaged (the deontas) in order to advance the ‘Irish Ireland’ project. The rest of us were schooled in compulsory Irish and sent to the Gaeltacht during the summer to learn the real thing. Now that the majority people living in 134 out of the 155 areas currently defined as Gaeltacht districts have given up on Irish, what happens? More De-Anglicisation? More Resources? More Irish in Schools? More “Spotty” Irish in the media? I heard recently that parents on an island that had always been a stronghold of Irish were speaking English at home and were depending on teachers to teach Irish to their children. The study by published by Údarás na Gaeltachta confirms that but there is worse to come. It follows on other surveys that confirm what 125 odd years of ‘De-Anglicisation’ has shown: you can’t ‘school’ a living language. If in doubt have a listen to Buntús Cainte. If you haven’t got a record player, don’t worry. Its online. Just googaláil Buntús Cainte. This entry was posted in Comment, Current Affairs on June 4, 2015 by ciaranwalshnoe. 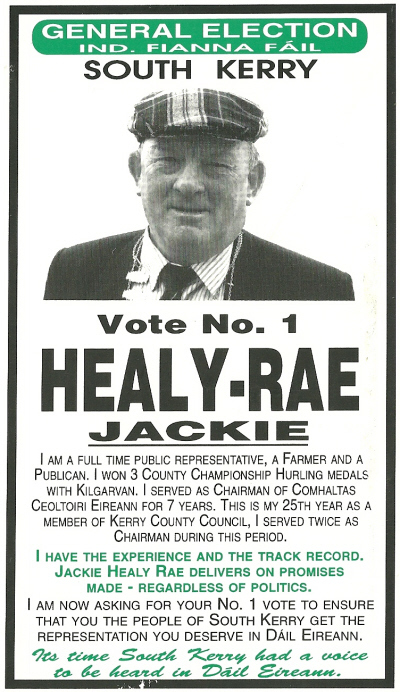 The War of Independents, The Legacy of Jackie Healy Rae. The War of the Independents, Jackie Healy Rae marches on parliament. Picture by Don MacMonagle, 2007. Don Mac Monagles’ classic photo of ‘The Healy-Raes On The Move’ was taken during the election campaign of 2007. 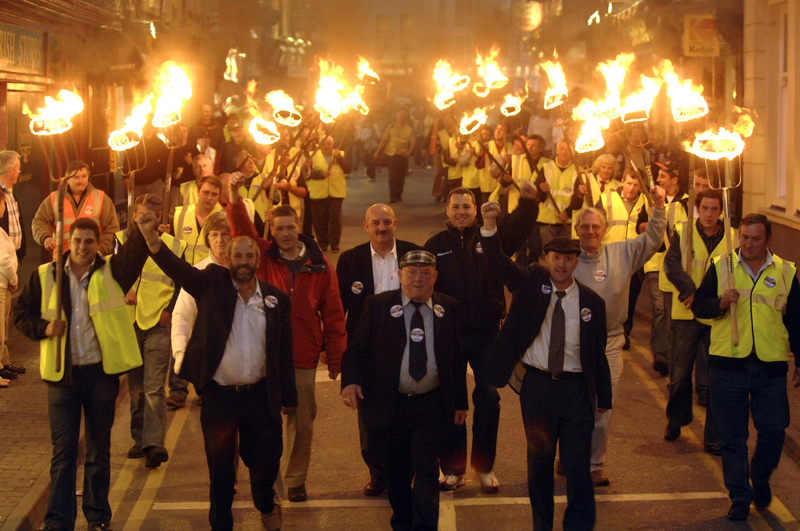 Jackie Healy-Rae flanked by his sons Danny and Michael (who ‘inherited’ the seat from his father) march through the streets of Killarney with ‘pikemen’ brandishing flaming torches. It was one of 10 photographs that Don Selected for a feature I did in the Irish Independent (27 July 2013 WEEKEND Magazine) on 100 years of photojournalism by the MacMonagle family. 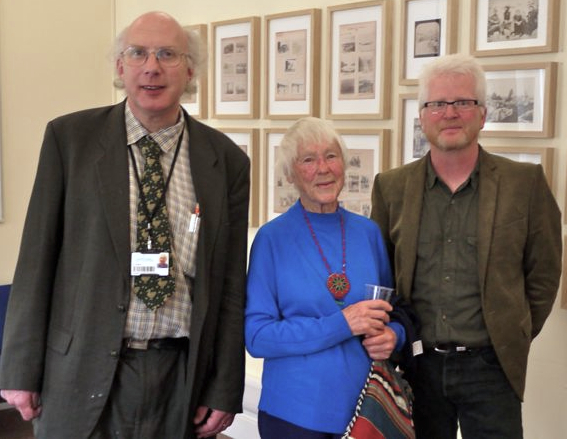 Don has documented the Healy-Raes since the 1970s. “I would consider myself non-political but I am fascinated by the Healy-Raes,” says Don. He got a tip that ‘Jackie’ was planning an old style rally to make an impact in the final week of the election. The picture went viral and a pundit reckoned that it would get Healy-Rae re-elected. It did. Like Healy Rae, Fox and Blaney were of the Fianna Fáil gene pool. Gildea was a single-issue candidate and didn’t last long in national politics. As for Fox, her father whose seat she ‘inherited’ was a member of Fianna Fáil before he went independent. Harry Blaney got his brother’s seat (briefly occupied by Cecilia Keaveny) who had in turn gotten it from his father. In fact the Blaney ‘dynasty’ ran from 1927 to 2002. It started with Neal Blaney whose son Neil was expelled from Fianna Fáil in 1972. His other son Harry took Neil’s seat after his death in 1995. Confused? Well, there’s more. Niall Blaney, Harry’s son (I think) took the seat in 2002, rejoined Fianna Fáil in 2006 and resigned the seat in 2011. The seat was then taken by Sinn Féin. The Healy Rae phenomenon may be more recent but it is as complex and dynastic as the ‘Donegal Mafia’ (as the Blaney’s political organisation was called). That’s only part of the point. The really interesting point is the battle between the margins and the centre in Irish politics. The increasing centralisation of the mainstream parties forced the likes of Healy Rae to go independent. When the independents were lucky enough to hold the balance of power they screwed the parties for all they could get in order to consolidate their positions in their constituencies, and lucrative positions they are too. In 2011 journalist Ken Foxe (Irish Daily Mail) calculated that the Healy Raes had earned €8m over 14 years ‘in salaries, expenses and contracts from the public purse.’ That is a side issue and, as Jackie Healy Rae pointed out, it was the system. What is more interesting is the way the Healy Raes turned the institutionalised clientilism of the big parties into a very localised power base – and turned the entire system on its head in the process. As a young civil servant I was fascinated by the fact that government ministers were provided with elaborate constituency offices within government departments at taxpayers expense, a massive advantage at election time. I learned very quickly that getting around fines, housing lists, planning, education grants and jobs in state agencies mattered more to politicians than policies. As a civil servant I worked under the best/worst of the clientilist politicians of the time – Gerard Collins (FF) Jim Mitchell (FG) and Sean Doherty (FF) – although I did refuse a transfer to Doherty’s constituency office on ethical grounds. It was an interesting encounter and as well that I decided to attend NCAD on a full time basis shortly afterwards. The nature of clientism was summed up by anthropologist Lee Komito in 1984 (The Economic and Social Review, April, 1984). 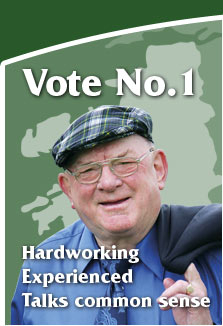 ‘The political broker who intervenes on behalf of constituents to help them obtain government benefits and the client who rewards the politician with his vote has become an acceptable, and even fashionable, model of Irish political life.’ Healy Rae’s election in 1997 showed just how well that model could work for constituents in a tight Dáil and, very soon, every constituency wanted the same! The assault by independents on the mainstream parties had begun. 30 years on it seems like the independents and others (32%) now stand in the way of any viable coalition. Fine Gael (19%) has become the incredible shrinking party and Labour (6%) has compromised itself out of existence. It even looks like Fianna Fáil (21%) and Sinn Féin (22%) couldn’t form a government (even if they wanted to) without the support of independents. It’s not all Jackie Healy Rae’s fault. He got lucky but the real lesson of his role in Irish parliamentary politics is that clientilist politics have wrecked a system and the rise of the independent has been driven as much by the mainstream political parties inability to take reform seriously. Political parties how are you, it’s every man for himself and Jackie Healy Rae wrote the manual. This entry was posted in Comment, Current Affairs, Journalism and tagged Ciarán Walsh, Clientilism, County Kerry, cronyism, Don Mac Monagle, Donegal mafia, Independents, Jackie Healy Rae, Ken Foxe, Lee Komito, Photography, political dynasty, The Economic and Social Review, www.curator.ie on December 9, 2014 by ciaranwalshnoe.